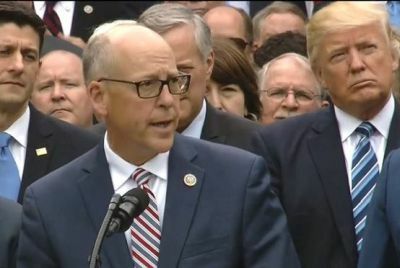 WASHINGTON, D.C. -- Oregon Congressman Greg Walden will maintain his position as the highest ranking Republican on the influential House Energy and Commerce Committee. However, because Democrats now have a majority in the House, Walden will no longer be the Chairman. In a statement, Rep. Walden said, "The Energy and Commerce Committee has broad jurisdiction over many of the issues we face in Oregon and across the West. Under my leadership, the Energy and Commerce Committee has worked in an overwhelmingly bipartisan manner to advance key legislation for our district." Walden will also sit on the House Republican Steering Committee, which helps determine which party members serve on various House committees. "In this position, I will continue to advocate for public policy that addresses the unique challenges we face in the West," Walden said in a statement, "There is much more work to be done to improve federal forest policy to reduce the risk of wildfires, bring local input back to public land management decisions, and ensure our farming, ranching, and rural communities are able to thrive." In addition to Oregon, Walden will represent Alaska, Idaho, Montana, Nevada, Utah, Washington, and Wyoming on the House Republican Steering Committee as the Region 11 Representative for the 116th Congress.